The final part of the current Batman ‘Dark Knight’ movie trilogy is heading our way next summer, and The Dark Knight Rises will bring a host of techno-treats by way of new and updated crime-zapping machinery for our caped crusader. And that means there'll be new movie tie-in Batman kits, collectibles, diecasts, and RC equipment on release soon. 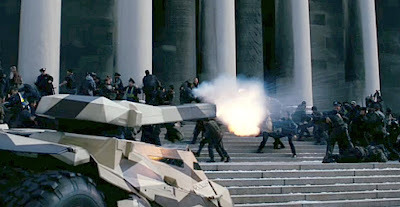 In 2012, the splendid Tumbler Batmobile gets an update in the form of a powerful top-mounted cannon, mated to a nifty camouflage paint job instead of the familiar midnight-black. Designwise, the square barrel of the cannon could be the hallmark of an electromagnetic railgun launcher - but the muzzle flash indicates motive power from old-fashioned cordite. Still, who cares - fiction or not, it looks a terrific piece of hardware and we can’t wait for the kits and diecasts to arrive. Also featuring in The Dark Knight Rises will be a great-looking air attacker, likely the next Batplane, which seems to be a mixture of Tumbler visual style, cross-pollinated with hardware concepts from Avatar, Transformers, X-Men and the like. Superb stuff: fellow sci-fi buffs, it looks like we’ll be well served during the course of 2012. Meantime of course, there are plenty (plenty!) 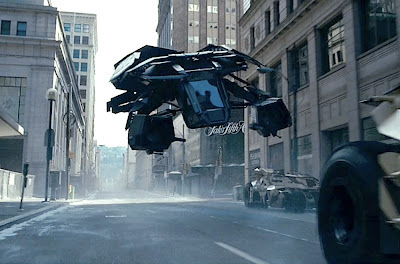 of Batmobiles already out there, and a few hours of Christmas kitbashing could take that turret-equipped Tumbler from movie screen-grab to scale-model reality in fairly short order. Among our fave diecasts of those presently available is the Mattel Hot Wheels diecast version to 1:18 scale, which captures the complex planes of the movie car very convincingly. 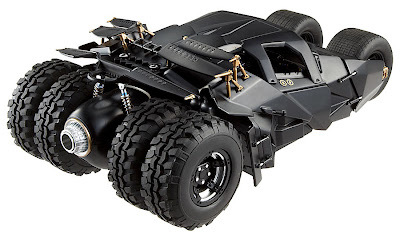 The Dark Knight Tumbler Batmobile available here. And here's The Dark Knight Rises trailer. 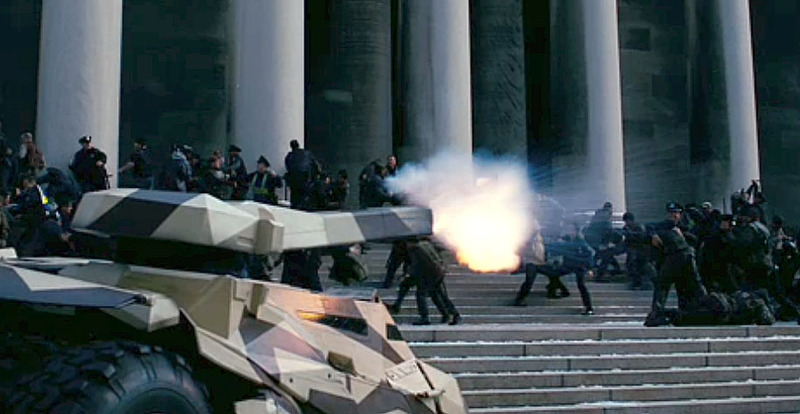 Looks good, and you can see the cannon-equipped Tumbler in action near the end.